The United States is extremely vulnerable to future attack via hypersonic missiles and is falling behind in the technological know-how to defend the homeland from the threat, the commander of the United States Strategic Command told the Senate Armed Services Committee on Tuesday. “The first, most important message I want to deliver today is that the forces under my command are fully ready to deter our adversaries and respond decisively, should deterrence ever fail. We are ready for all threats. No one should doubt this,” Air Force Gen. John Hyten, commander of U.S. Strategic Command said in his opening statement. What Hyten suggests, as of today, the U.S. is powerless against hypersonic weapon threats and has to rely on deterrence against these so-called hypersonic weapons. In other words, if Russia or China launches a hypersonic missile attack on the U.S., the Pentagon will respond with nuclear war. Sen. Inhofe then asked America’s top nuclear commander to describe what a hypersonic weapon is and what it does. 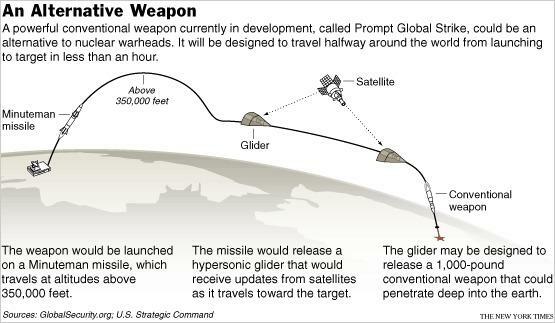 “A hypersonic threat is a system that starts out ballistic, so you will see it like a ballistic missile, but then it depresses the trajectory and flies more like a cruise missile or airplane,” Hyten said. Earlier this month, we reported that Russia test-fired a high-precision Kinzhal (Dagger) hypersonic missile from a MiG-31 supersonic interceptor jet in the South Military District in Russia’s southwest. The ministry released video footage showing the hypersonic missile air launch from the underbelly of the MiG-31 over the skies of Russia. 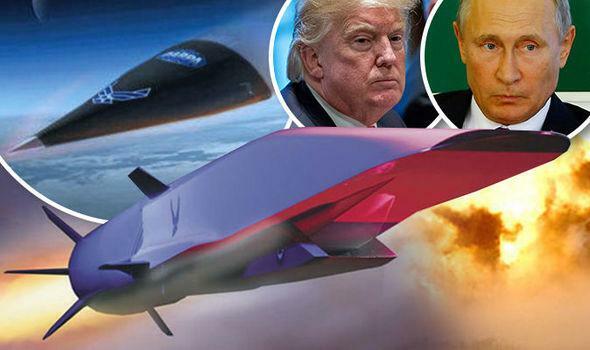 In late 2017, China conducted several tests of a hypersonic glide vehicle that could be used to defeat U.S. missile defense systems, nevertheless more recently, Russia’s hypersonic glider is one of six new strategic weapons announced recently via Russian leader Vladimir Putin. CNBC points out “it is clear that the U.S. lacks the means to combat hypersonics,” nevertheless has poorly allocated funds to develop the technologies over the years — thus enabling Russia and China to advance hypersonics to a higher degree. Hyten has been on record — calling Russia the “most significant threat” to Washington, and emphasized the need for the Pentagon to modernize its nuclear weapon programs. Hyten said the U.S. is somewhat ahead of Russia and China in some hypersonic technologies, but overall is severely behind the curve. “As a whole, I’d say it’s a competition and it’s a competition, I believe, that we should have a goal of winning that competition; not tying, not losing, but winning the competition,” he said. Hyten failed to address the exact areas where the U.S. is behind the eight ball in hypersonics when compared to Russia and China, in fear that such knowledge could jeopardize national security. The next phase is a U.S. response “and the first way to respond to it is to be able to see the threat, which, right now, is challenging. So we have to build capabilities to see what the threat is as well,” he added. Hyten said defense companies and the Pentagon need to progress hypersonic technologies immediately. He mentioned the need for advanced technologies in sensors to track and identify the origin of a hypersonic threat. “And right now, we have a challenge with that, with our current on-orbit space architecture and the limited number of radars that we have around the world,” he said. “I’m going to advocate, as I’ve advocated for the last 30 years, that we need to move into space and be able to build sensors to conduct both the characterization of these new threats that are appearing, as well as discriminate better and earlier the midcourse element of the threat that exists today,” he said. When asked about Russia and China improving strategic capabilities, including hypersonics, Hyten suggested both countries are “closing in” on U.S. advantages that have been the key building blocks of maintaining America’s global empire. Unfortunately, the arms race in hypersonic weapons has ushered in the next Cold War between the United States, Russia, and China. It is a repeating cycle of madness where billions of dollars are being diverted to the military-industrial complex and frankly could bankrupt Washington. 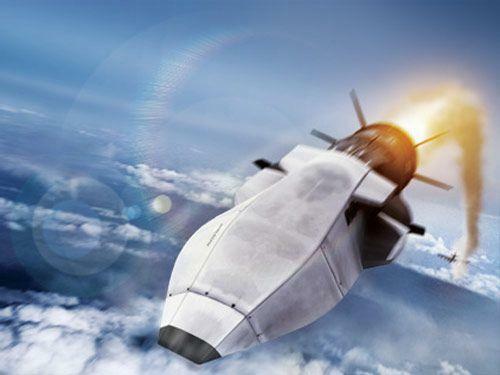 Hypersonics will not make the world safer, but rather more dangerous with global superpowers having the capabilities of hurling projectiles at March five or greater. Americans, of the exceptional nation, see themselves as the dominant economic, political and technological power, but as we just discovered from the StratCom General — hypersonic technologies from Russia and or China could disrupt the American hegemony party rooted from a post World War II basis.